The Africa Team is back from Uganda! 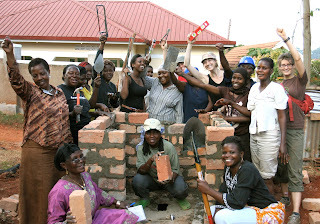 This month, we welcomed back the Africa Team from the 2011 East African Women and Water Training in Uganda. This was our third Global Women and Water Initiative (GWWI) Training, following the 2008 and 2010 Trainings in Kenya and Ghana. GWWI began in 2008 as a collaborative venture between Women's Earth Alliance, A Single Drop, and Crabgrass and is currently a program of Women's Earth Alliance in partnership with Crabgrass. In line with our values of recognizing the importance of home grown and locally-led solutions, GWWI builds partnerships with Africa-based organizations and African women trainers to undertake its training programs. In Uganda, we worked alongside a Uganda-based organization, iCon Women and Young People’s Leadership Academy, to amplify the voices and inclusion of grassroots women in the WASH sector. Furthermore, GWWI knows the power of building alliances with men, and our training programs invite men to support this vision. 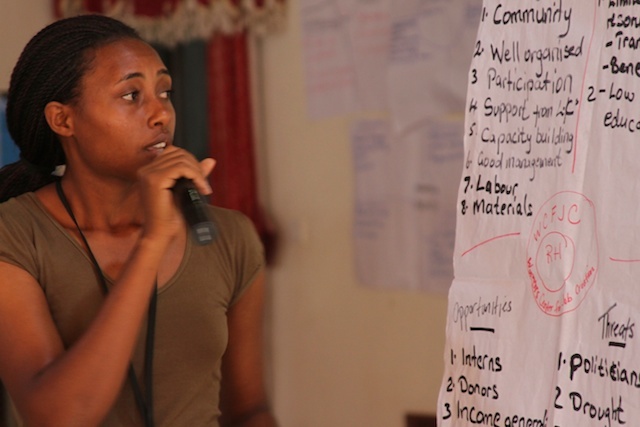 The GWWI Trainings create a space for women to connect, engage in dialogues around leadership and climate change, and develop specific technology skills to address issues of water, sanitation, and hygiene (WASH). In 2011, GWWI featured two complementary trainings—the Advanced and Grassroots Trainings—over a two-week period from July 4-18. We were thrilled to have some former graduates from 2008 participate in the 2011 East Africa Training as trainers-in-training. 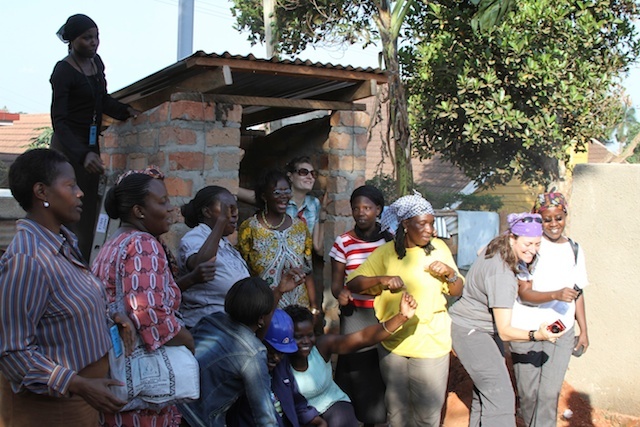 We also welcomed 10 Fellows—four East African women and six international women—to offer peer support and in the process, enhance their knowledge and understanding of WASH-related issues. The Advanced Training laid the foundation for the strategies that were explored in the Grassroots Training. 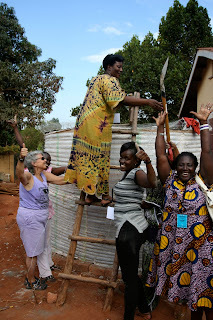 Thirty-two women from communities across Tanzania, Uganda, and Kenya, joined the 24 women from the Advanced Training in the Grassroots Training. 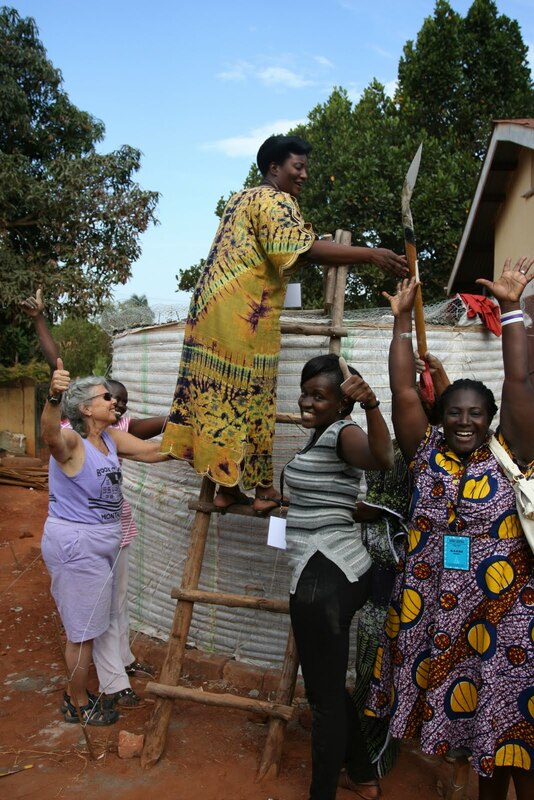 Over the course of the week, the women learned hands-on WASH technologies, engaged in group sessions, and upon completion of the Training, received seed grants to support the implementation of water projects in their communities. The teams of women representing their communities came to the Training having conducted a basic needs assessment to determine the appropriate technologies to address WASH needs in their communities. Building on past trainings, participants focused on various aspects of WASH, including sanitation, water access, water quality, and alternative energy. 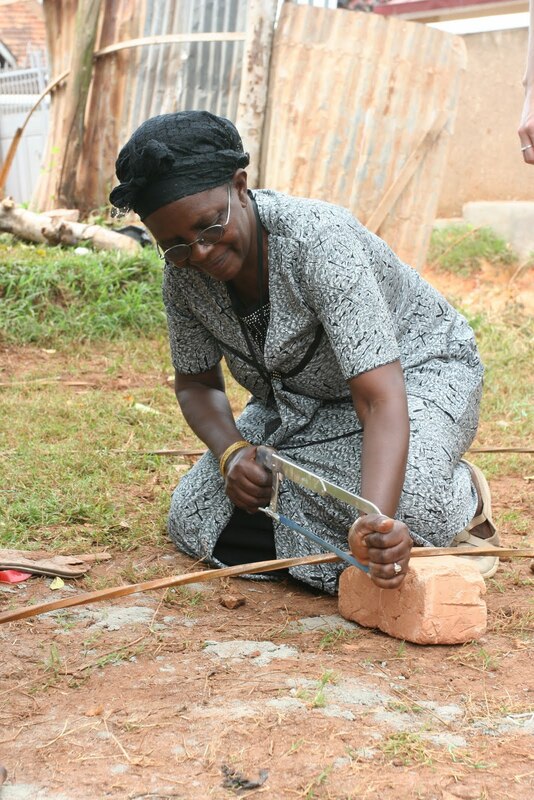 In addition to studying the theory behind these technologies, women learned to construct a ventilated improved pit latrine (or a VIP latrine), a rainwater harvesting system, a biosand filter, and solar cook kits. 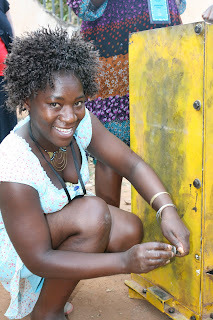 They also learned games designed for community sensitization and to improve hygiene and sanitation habits. The VIP latrine helps to improve sanitation by providing alternatives to open defecation and poor disposal of human waste, while the rainwater harvesting system allows for the collection and storage of large quantities of rainwater that can be accessed year-round. 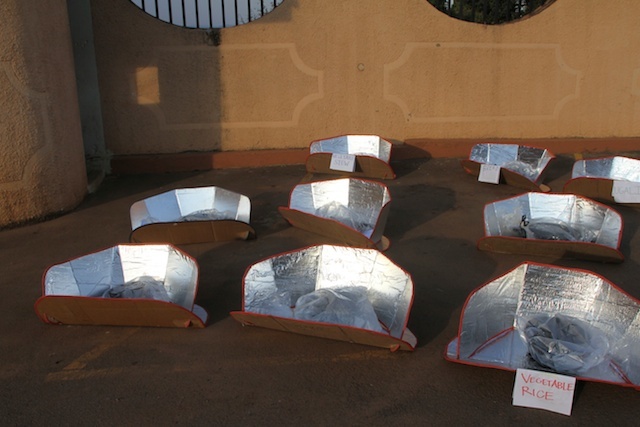 Biosand filters remove harmful bacteria from water, and the solar cook kits can be used for a variety of purposes, including cooking and pasteurizing water for drinking. The African continent is blessed with incredible natural resources like the sun. Our hope is that the solar cook kits will optimize the abundance of this resource, and in the process, promote the well-being of women and girls who otherwise would be spending their time out of school and walking long distances to collect water and fuel facing the risk of violence. Investing in women transcends beyond hands-on skills and access to resources, to creating spaces for women to re-define gender roles and build their confidence and self-esteem as whole women leaders. 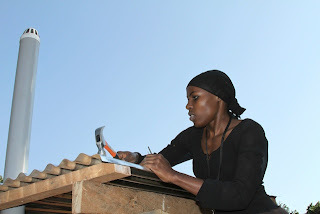 The steps to building the water technologies enable women to break the stereotypes of women's capabilities and allow women to identify with roles beyond that of mothers and caretakers, to non-traditional ones such as carpenters, masons, and technicians. Our time together in Uganda also allowed for dialogue around the direct impacts of climate change on women and girls, as well as the access to and quality of water. Out of this dialogue came ways in which women can draw upon their leadership, knowledge of technology, and support networks to respond to the environmental challenges they face. 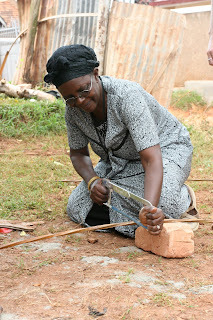 As women remain at the helm of collecting and allocating water for various uses, it becomes even more critical to listen to their voices and apply their wisdom to designing efficient and effective solutions to water-related issues. As the participants of the 2011 East Africa Training continue on this year-long program, they will implement two WASH projects with their target communities and with support from GWWI, the Trainers, and the Fellows. The Women and Water Trainings is one of several strategies in the larger response to the varying impacts of climate change on women and girls. We cannot wait to see how our partners in East Africa will build alliances with more women, girls, and men to begin a process to transform their communities! Northern Arizona ski resort Arizona Snowbowl has begun the construction of a 14.8 mile pipeline that will trasnport up to 180 million gallons of treated sewage water from the City of Flagstaff to the ski area, for artificial snowmaking. Not only will the proposed 10 million gallon wastewater pool harm the environment and public health (the treated sewage water has been proven to contain contaminants), but it will destroy land that is holy to more than 13 Indigenous Nations. The peaks are their place of worship, where deities reside, and where they go to collect medicine and herbs. Klee Benally, who was arrested on Saturday August 13 for disorderly conduct and trespassing, explains: "How can I be 'trespassing' on this site that is so sacred to me? This is my church. It is the Forest Service and Snowbowl who are violating human rights and religious freedom by desecrating this holy Mountain." With just a few minutes, you can take meaningful action to protect the Peaks. 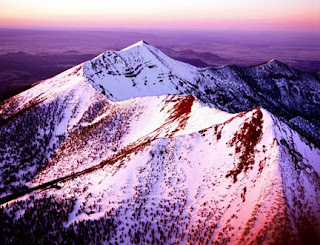 Call the USDA, which oversees the Forest Service, and let them know you support the preservation of this sacred mountain.